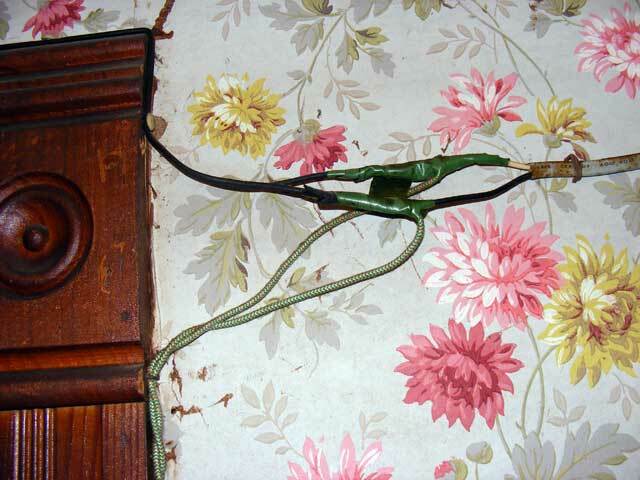 I finally got sick of the dangerous, yet…heh heh…historically significant wiring in the dining room (which we’re using as a bedroom at the moment). 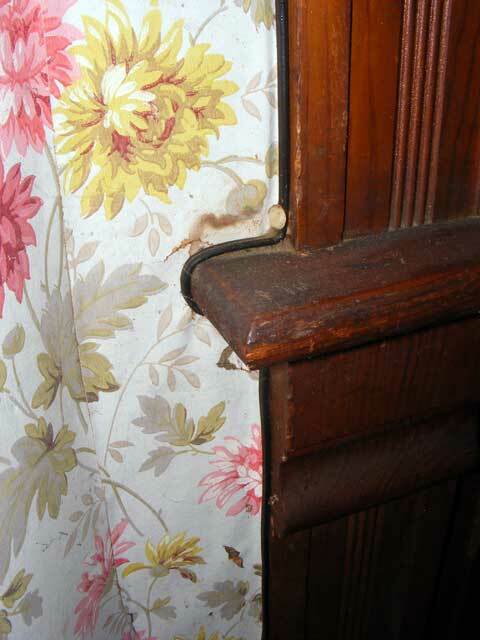 Note, there’s nothing inherently unsafe about knob and tube wiring…it’s just that when it was put in this house, it was just for basic lighting. 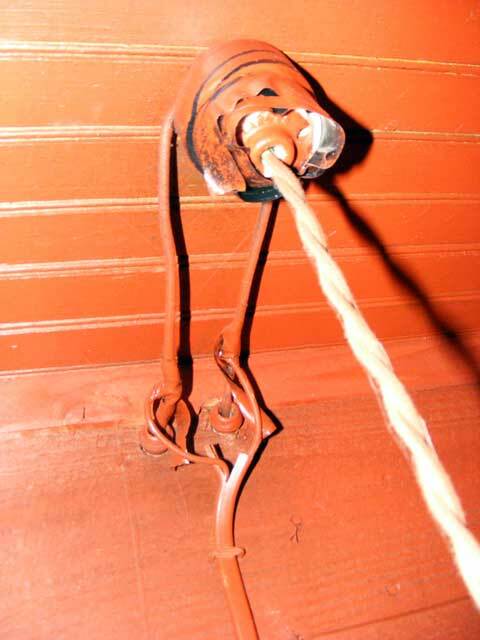 Anything else that has power was spliced onto this stuff…and usually not in a safe or correct manner. Our friends Dean and Cindy came to visit and volunteered for some labor (we have great friends). 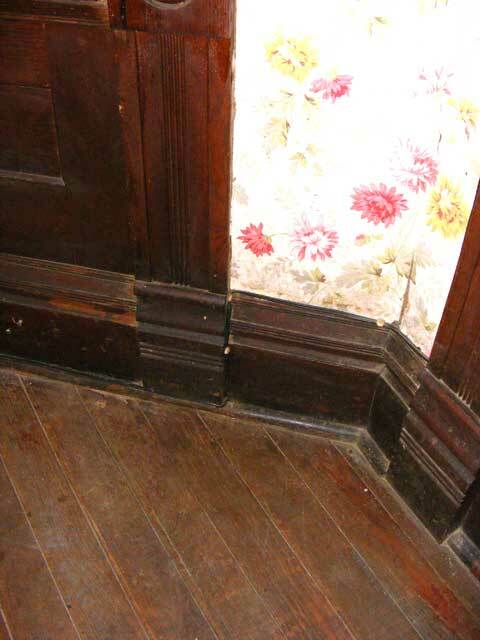 One thing about an old house project…if you get tired of doing one thing, there’s many, many, many, many…ur…well, other things to do. 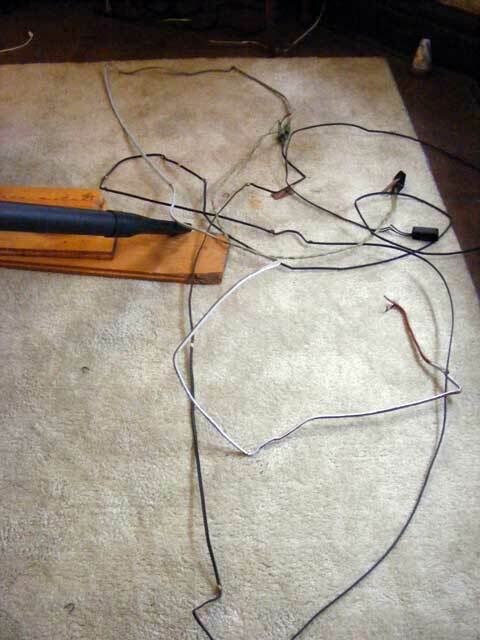 This time, we thought we’d try wiring. I needed to put in a plug for the air-conditioner anyway, which despite two hours of work and searching, turned out to have been plugged into…a wooden beam. Hmmm. Gotta wonder how that worked. So, me and Dean crawled around in attics, drilled holes in header beams, cut boxes into walls, and snaked wires in places that very were hard to get to. 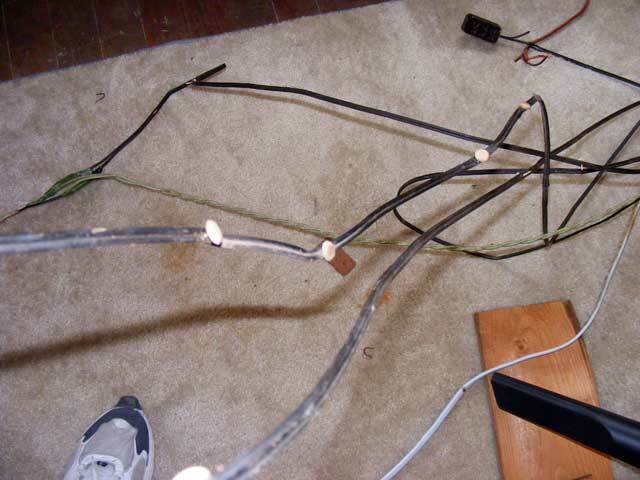 We ran wiring for the Air Conditioner plug, and for three other plugs in the area. At least 4.2 million trips up and down the stairs were required for this effort. Yes, we installed plain vanilla plugs and ivory covers. We’ll swap them out for something that matches the decor, when we get around to decor-ing…if it’s appropriate. 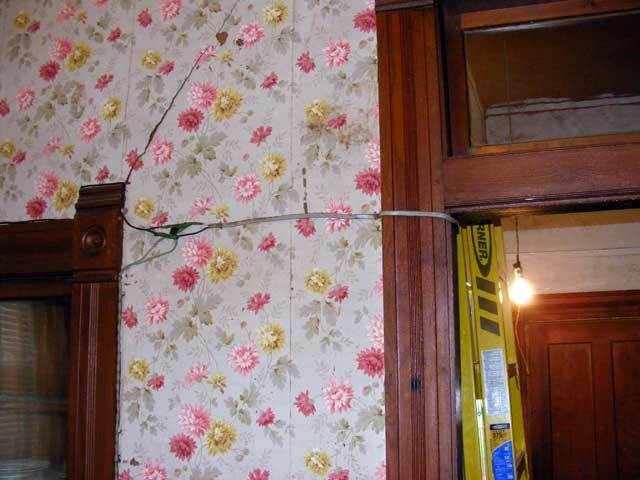 The new, period inappropriate, wiring. 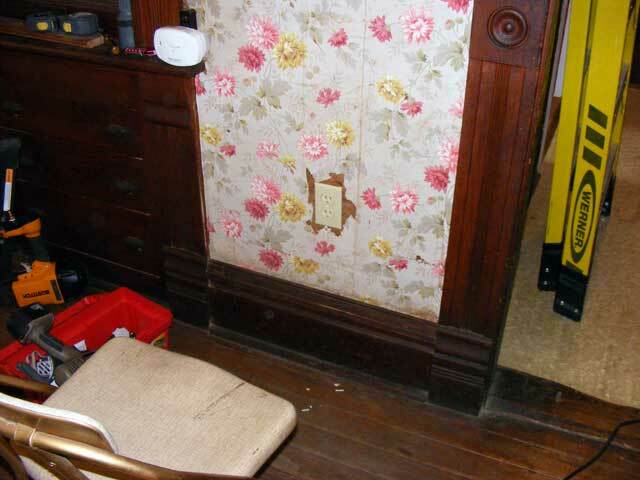 Don’t sweat the wallpaper problem around the plugs. This is the original wallpaper and it is done for. You can just touch it with a finger and the paper fractures and falls off the burlap backing. 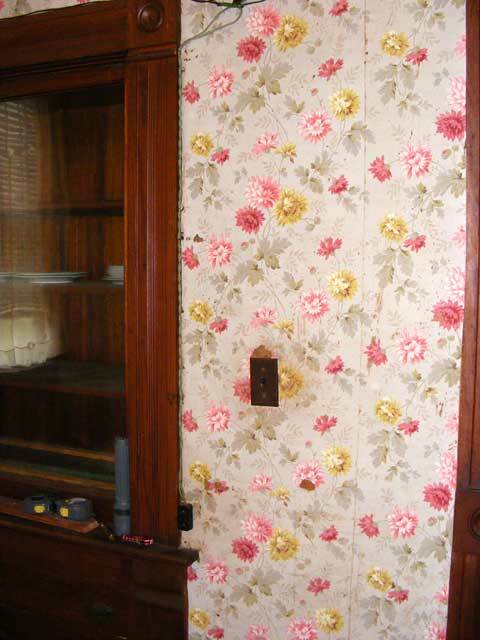 We will tear this out and replace later…but right now this is one of the nicest rooms in the house wall-covering-wise so other rooms will come first probably. This room needed the wiring though. First, it’s Texas and “not January”, so we needed the Air conditioner plug. 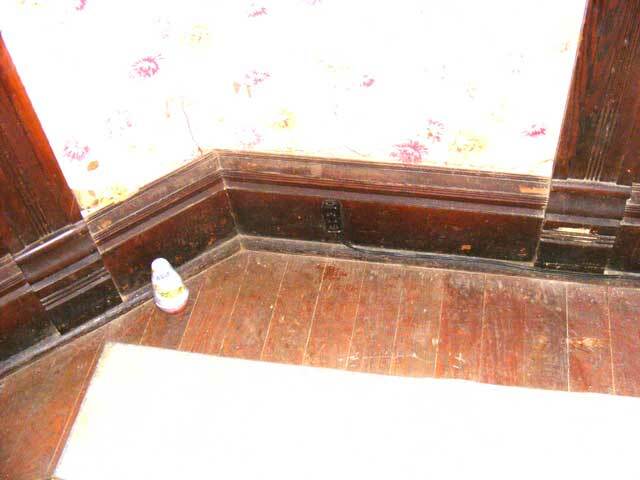 Second, this is our primary residence room during the renovations…this is where we are using power. 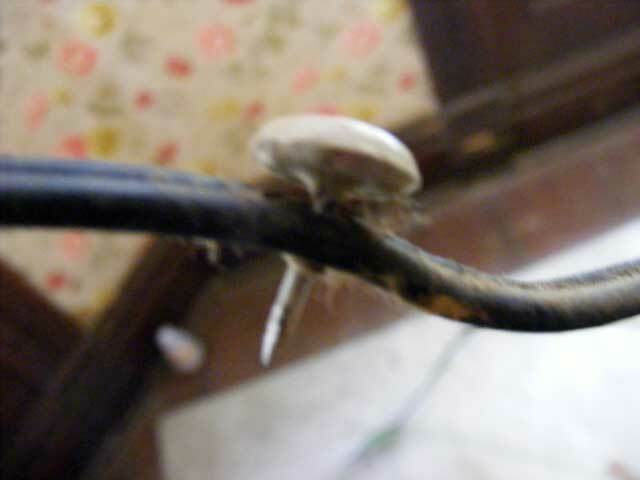 Third, as you will see from the pictures below, it had the worst wiring in the house. The remains, another view. Pay attention to those little white things on the black zip cord. I'll show you them later. It started here...the hall ceiling. Spliced onto the knob and tube light feed. Across the wall and out the hall door. 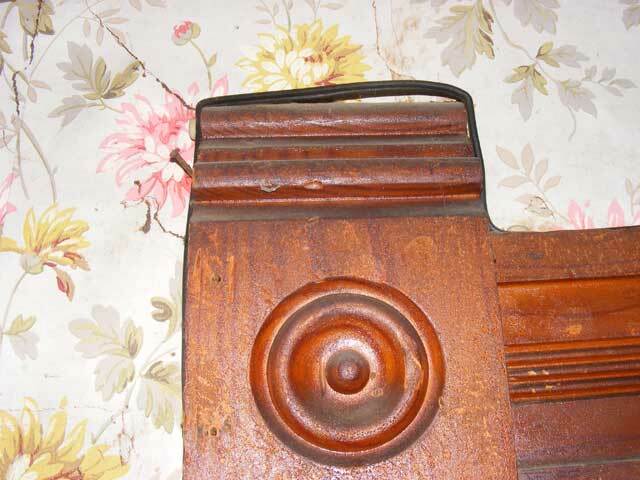 Notice the plug on the side trim? 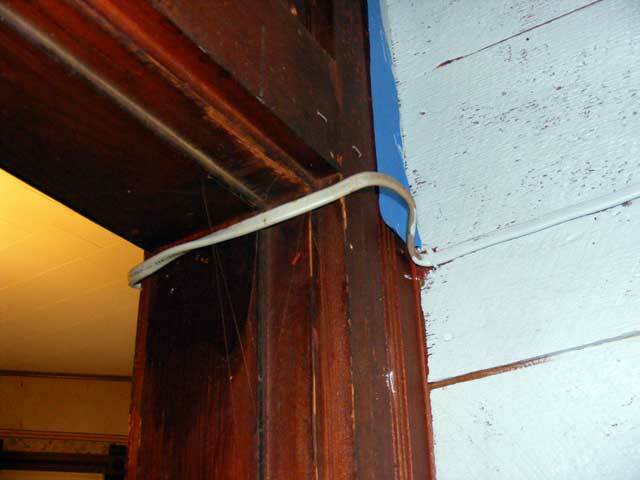 One of my most favorite splices. To grandmother's house we go...You know what holds it in place? Remember those white things? 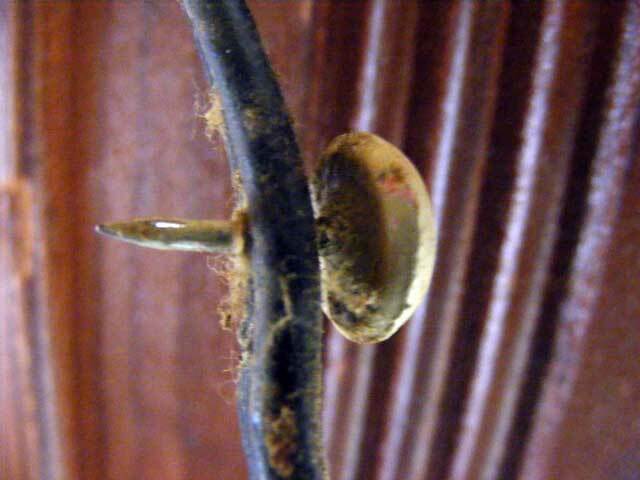 It's the old -thumbtack through the wire to hold it where you want it- trick. 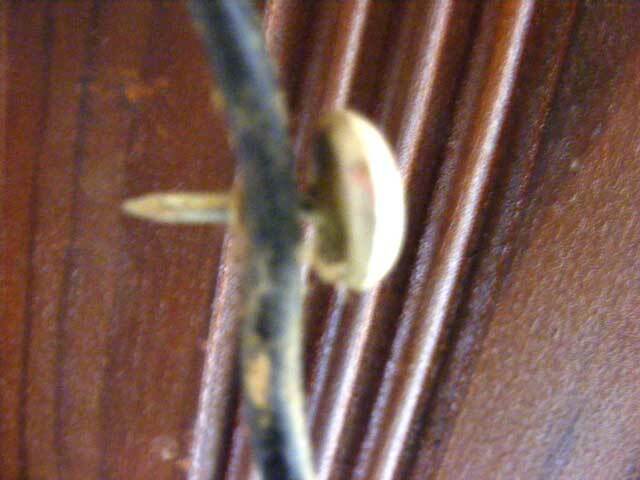 Yep, that's a thumbtack allright. Lots and lots of thumbtacks. Expept where they used staples. To this plug--The final frontier. This is solid core zip cord. 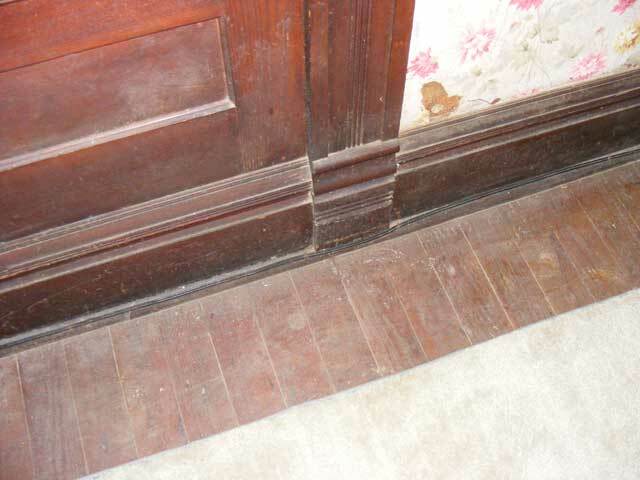 Over the years, its stiffness and natural movement did the insulation in. Anyway, all ripped out. 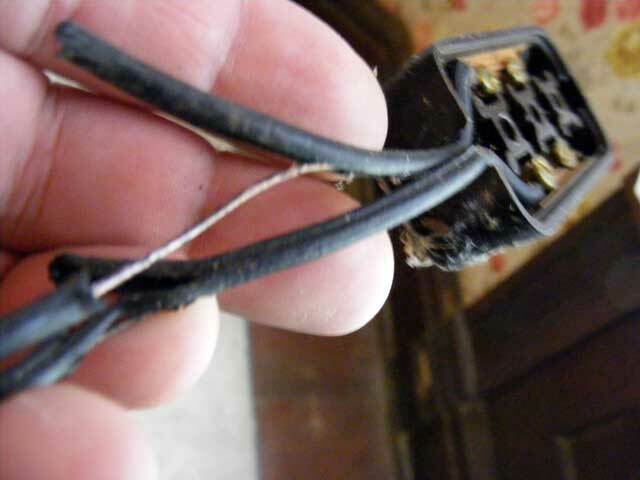 Replaced with modern plugs, properly located, boxed, and breakered. Whoot!